Honda UK has today announced pricing for the anticipated new diesel Civic manual hatchback. Set to hit retail forecourts next month and with the automatic available in early summer, the entry-level S model with manual transmission will start from £20,120 rising to £24,925 for an EX trim car with the six speed manual gearbox. Trim levels will mirror those of the existing 1.0 VTEC Turbo petrol model with S, SE, SR and EX trims available. The EX trim is also available with an optional Tech Pack for £600 which adds LED headlights with washers, LED fog lights, wireless phone charging and heated rear seats. 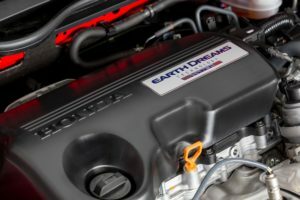 PCP pricing has also been confirmed for the new car, which is built at Honda’s UK manufacturing plant in Swindon; with monthly payments starting at £249 a month on a three year 5.9 per cent APR contract for a Civic 1.6 i-DTEC SE Manual. The comprehensively revised 1.6 i-DTEC engine will deliver 118 BHP at 4,000 rpm and 221 ft lb of torque at 2,000 rpm. Pricing for the automatic Civic diesel will follow in the summer when the car becomes available.